Q. An EBSCO Ebook or a PDF I am trying to read is displaying oddly or not at all in Firefox. How do I fix this? The page is covered in equals signs. 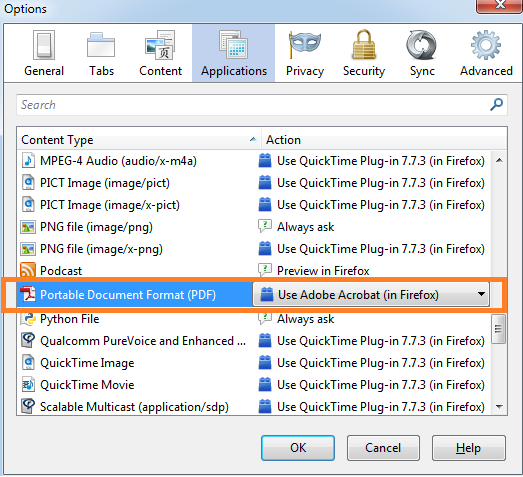 In the adjacent drop-down, select "Use Adobe Acrobat (in Firefox)"
4. Click OK. You may need to close and re-open your browser for the changes to take effect. If you're still having any problems, please contact the library.